The map shows a world divided into three parts (Europe, Asia and Africa), connected at a single central point: Jerusalem. 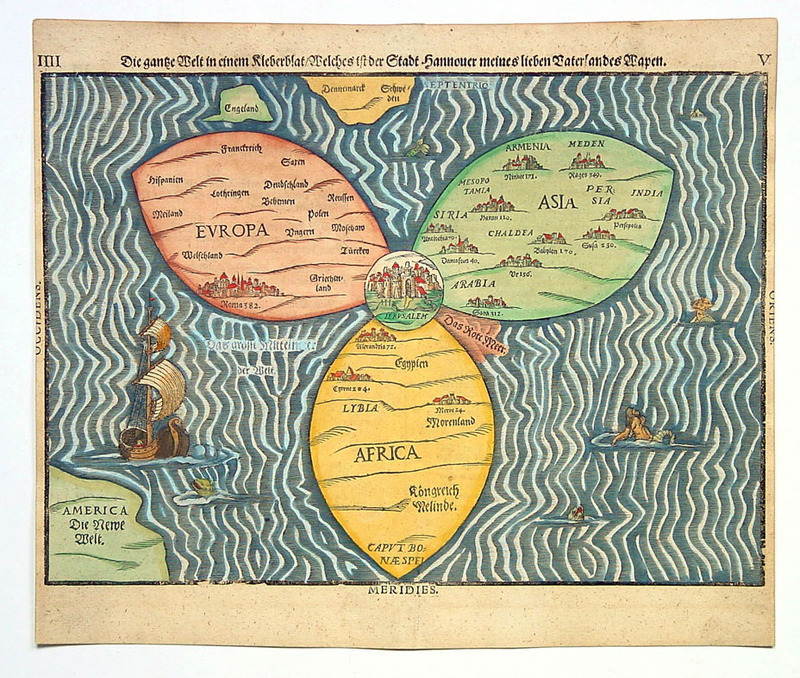 This is essentially still the same symbolic map of the world as the one first devised by Saint Isidore in the seventh century. But this map mixes in some stuff that Izzy probably didn’t know about, such as America. Cool mashup, mixmaster HB! Talking of mashups, check out Dylan Hears a Who. Those of us who have wondered what Dr Seuss’ words would sound like if set to music and sung by Bob Dylan need wonder no more. Thanks to BB Cory for the link.